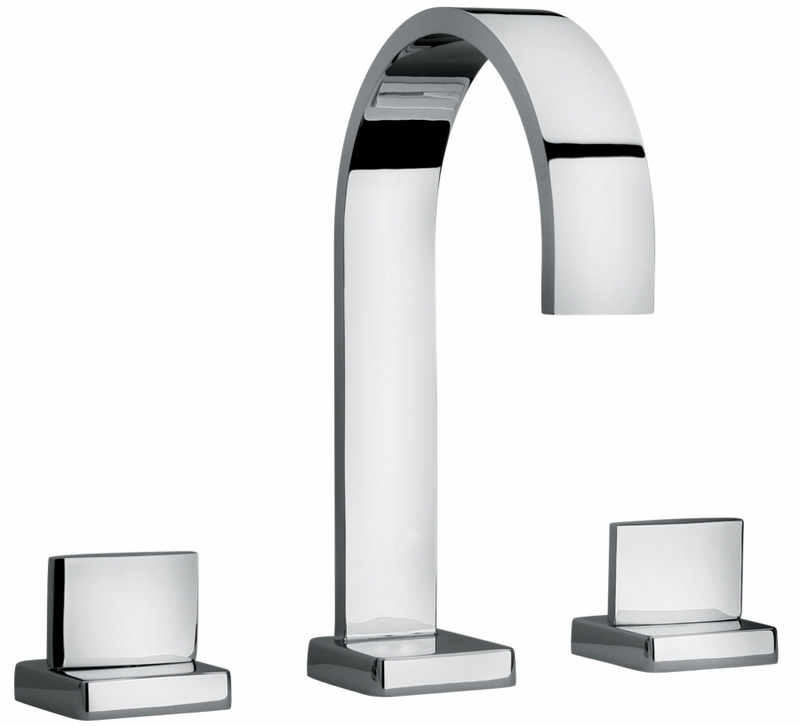 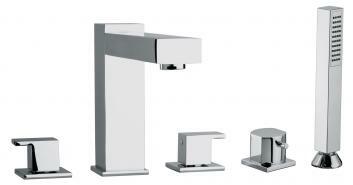 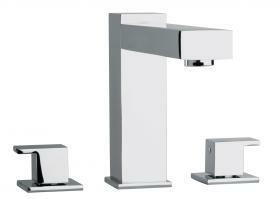 The arched spout of this tub faucet adds a decorative touch to the functionality of the set. 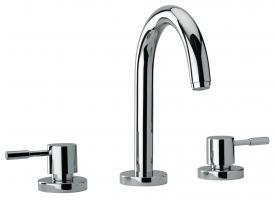 The simple and modern design of the two handles make them very easy to use to control the water flow and temperature. 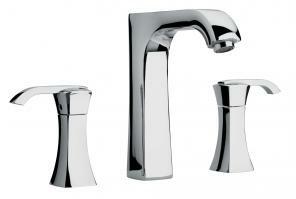 This set is available in chrome, as shown, and many other finish choices.